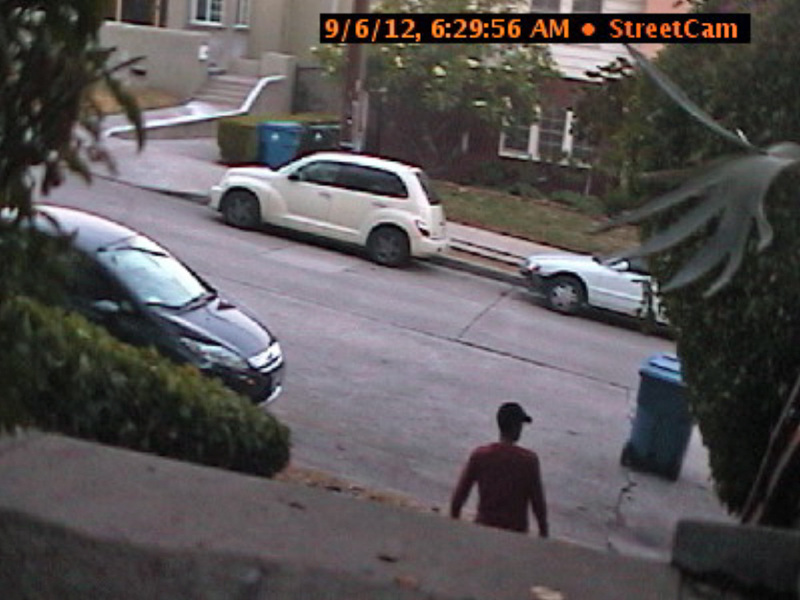 Thanks to the newspaper delivery person not tossing today’s edition high enough up onto our front steps, this male in a red long-sleeved shirt and black baseball cap, happened upon its accessibility. 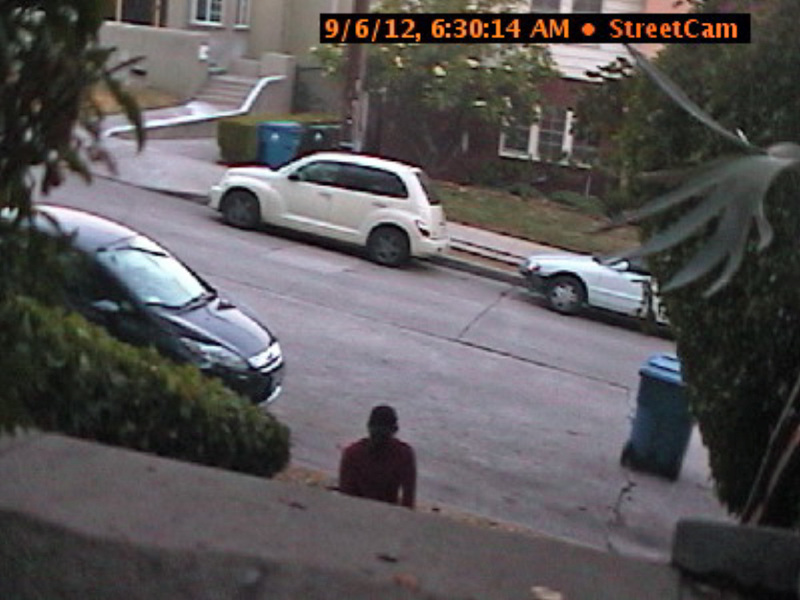 In the image on the left, he’s paused and is looking toward the street (perhaps to make sure no one is around to witness his impending act). Then, 18 seconds later in the frame on the right, he’s facing the house, having either begun to go down to get the paper on the lower steps or standing back up after taking it. carried on by the owner of the land, the owner’s agent, or by the person in lawful possession. with intent to permanently deprive the owner. For those of you thinking it might be classifiable as burglary, that could only happen if he entered the actual residence to take the newspaper. Instead, for a $1 newspaper this fellow committed two misdemeanors, each punishable with six months in jail and a $1,000 fine. But wait! There’s more: Upon discovering the paper missing shortly after 8 a.m., I saw that the twine wrapped around the paper had been removed and dropped on our bottom most step, which means the suspect added the infraction of littering (California Penal Code Section 374.4) to such an illustrious resume. 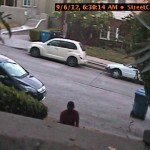 If the overtly clinical tone of this post has left you wondering what’s been done with the Will who usually rants ballistically about such transgressions, rest assured, he’s still here — and wishing the images captured provided a clearer picture of the culprit for which to file a police report. In the meantime I’m simply deploying another crucial aspect of my training: objectivity. And keeping an eye open wide for the next attempt. 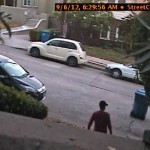 This entry was posted on Thursday, September 6th, 2012 at 10:40 am and is filed under crime, neighborhood. You can follow any responses to this entry through the RSS 2.0 feed. Both comments and pings are currently closed.